Most people don't realise just how much their car means to them until something goes wrong. General wear-and-tear, vehicle age & accidents can all lead to your vehicle being off the road or in need of repair. TC Motors understand the most urgent thing is to get you moving again! If you find yourself in such situation, call us for assistance in your car repairs. We're honest, hard working and can be relied on for a good job in all car repair work. As part of the TC Motors commitment to high standards, our mechanics are given regular, up-to-date training in all aspects of vehicle repairs. 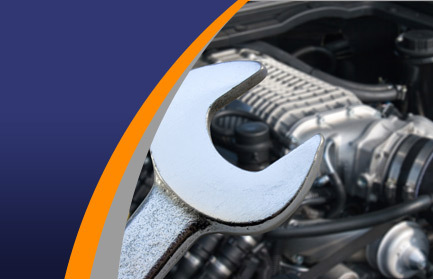 With access to a comprehensive array of equipment and machinery, whilst your car is with us for repairs we assure it is in the best of hands. With this in mind, you can rest assured that from faulty wipers, to oil leaks or major engine damage, your car repairs become a priority. There's also Motor Codes which we are proud to be a part of. This allows you the customer to know that the exhaust system you have fitted, the car service it undergoes, or the vehicle repairs you receive will be fair and honest.